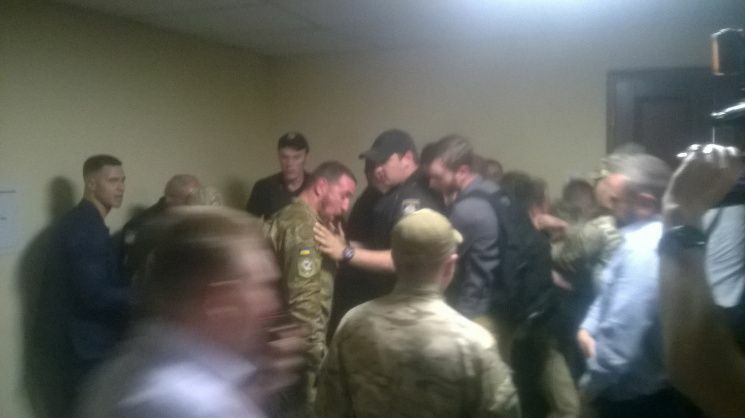 A brawl between riot police and military volunteers broke out in the Kyiv city council building on Thursday, June 1, according to the news portal Depo.Kyiv. 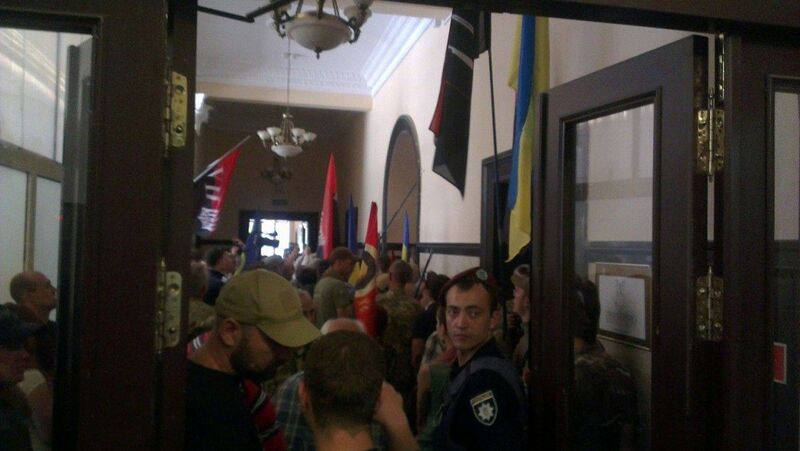 Volunteers, along with city council members, ousted the special forces from the building, Depo.Kyiv reported. After the brawl between police members wearing helmets and Donbas war volunteers was almost over, the conflict was also "heated up" by Kyiv city council members from the Svoboda party. 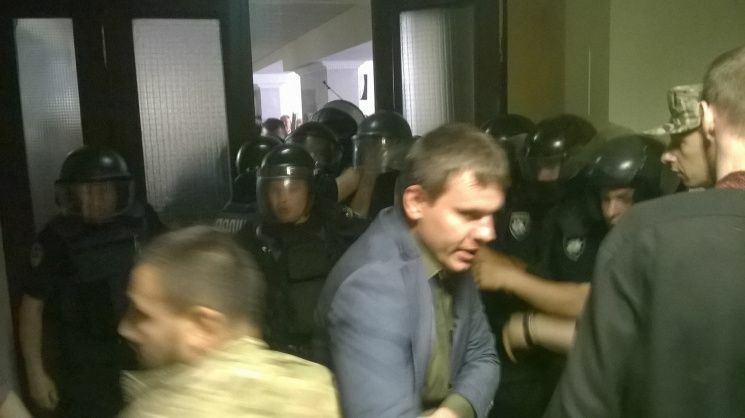 Then the riot police were forced to leave the corridors of the building. 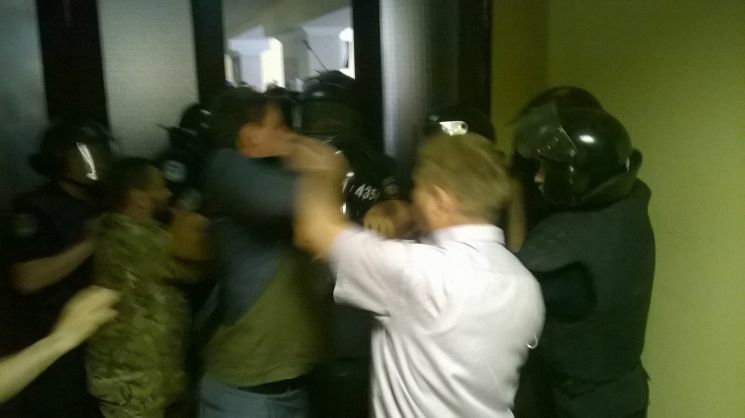 Read alsoKyiv police block nationalists' office to prevent clashes with pro-Russian marchersKyiv city council members accused the police chiefs of having provoked the fight. It is worth adding that Kyiv city council could not pass a decision on Donbas war volunteers' status for a long time, which angered them. And at some point, the volunteers got caught up in a brawl with the city hall's guards who were at the entrance to the council's meeting hall as Kyiv Mayor Vitaliy Klitschko was there at the moment.